In a bowl, mash strawberries with a fork and muddle with jam until well combined. 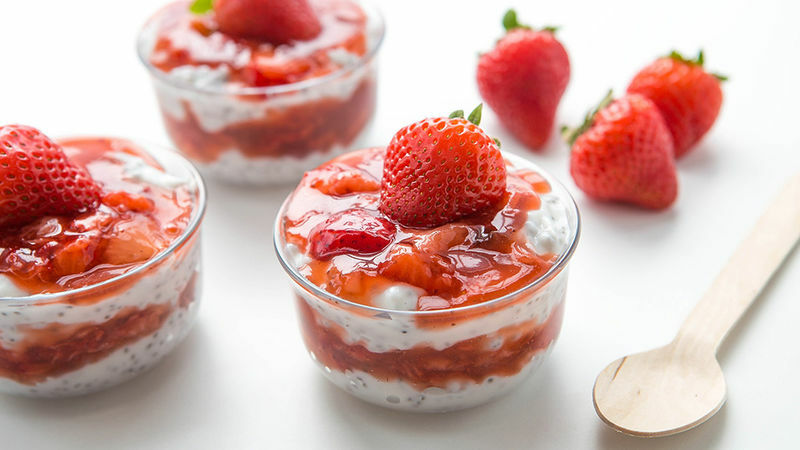 In a large bowl, stir together yogurt and chia. Spoon 1/4 cup yogurt into the bottom of a 6 small ramekins. Top each with 2 tablespoons of strawberry sauce and an additional 1/4 cup of yogurt, then finish off with a dollop of strawberry sauce. Cover gently with plastic wrap and refrigerate overnight before serving.